Start Ipswich Station 10am for a 10:15 departure. We’ll start with talking around the station, thus if you are late, you’ll probably find us or can phone Shaun on 07879610632. What is a Cycle Infrastructure Safari? A show and tell cycle ride with regular stops to look at examples of cycle infrastructure in a town. At the stops we discuss and debate the road infrastructure, looking at ways on how to improve what is currently existing, or how we’d suggest implementing it differently if something similar was implemented elsewhere. In the morning we plan to look at the station, London, Suffolk One, Hawthorn Drive, Bourne Park, and then head via the waterfront to lunch at The Brewery Tap. Local drinks and food available. A table is booked, thus an indication of numbers would be useful to ensure enough seats are available, by filling in the booking form below. For the afternoon we’ll follow National Cycle Route 1 out to the hospital, follow the ring road past a major shopping area, to Ravenswood, and finally head back into town. Ravenswood is an area of very high cycle to school rates and is designed to promote walking and cycling over the car. Aim to be complete around 5 pm where people can join us in Arlingtons for a debrief and chat about the day. There is at least 1 person who is unable to attend the earlier part of the day due to other commitments who will join us at this point. 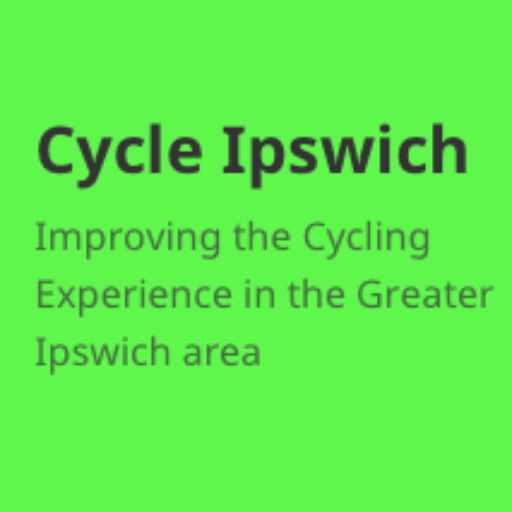 Optionally if people would like to stay for another day, further tours of Ipswich are available. Ipswich is served by Abellio Greater Anglia trains with direct connections to London Liverpool Street, Felixstowe, Lowestoft, Norwich, Cambridge, and Peterborough for the East Coast mainline. There are no known railworks this weekend. For people travelling from London, if you are returning the same day, it is recommended that you split your train ticket in Manningtree for a significant saving of £6.10. (£27.50+£6.20=£33.70 instead of £39.80 for the London to Ipswich off peak return [no day return]). If you have a Network Railcard, the saving is much more at £15.45 (£18.15+£6.20=£24.35). Advance fares are available which may be cheaper than the walk up fares. There is a guards van at the north end of the Ipswich to Norwich trains.